131,19 EUR* Not ready for shipping. Reserve today and we will ship as soon as possible. 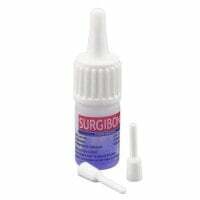 Tissue adhesive is a medium for painless wound closure. In veterinary medicine, tissue adhesives are used to close wounds from lacerations and cut wounds, and smaller surgical wounds. Quick-fixing tissue adhesive is also used in conjunction with sutures and to complement subcutaneous sutures in larger surgical wounds. Its use has certain advantages, such as a stitch-free adaptation of the wound edges and a reduced risk of infection as there are no stitch holes. 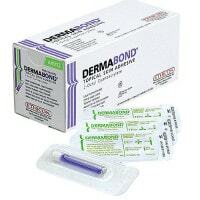 The adhesive can be applied to the wound in a very precise manner thanks to special ampoules. 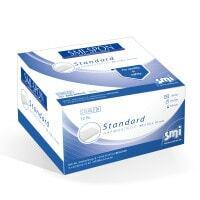 Tissue adhesives save a lot of time compared to sutures - tissue adhesives seal wounds very quickly. Dermabond mini, the tissue adhesive from Ethicon hardens within 45-90 seconds and reaches its maximum tensile strength in 150 seconds. It has the following clear advantages: wound closure by tissue adhesive is quicker and cheaper than wound closure by sutures. 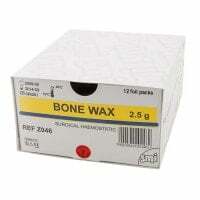 It is naturally removed after 5-10 days as the healing tissue displaces the adhesive. This means that there is no need to remove sutures and there is less cause for the animal to lick the wound. 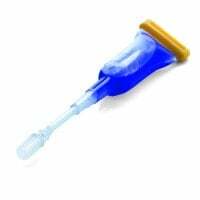 Many vets use tissue adhesives for small wounds to avoid the necessity of using an anaesthetic. Read about the advantages of tissue adhesive here and take advantage of our great offers! Praxisdienst-VET - all you need for your practice!